Wah Chang channels George Barrows ! Hiya Gorilla gang, old Bongo has a very rare treat in store for you this time ! 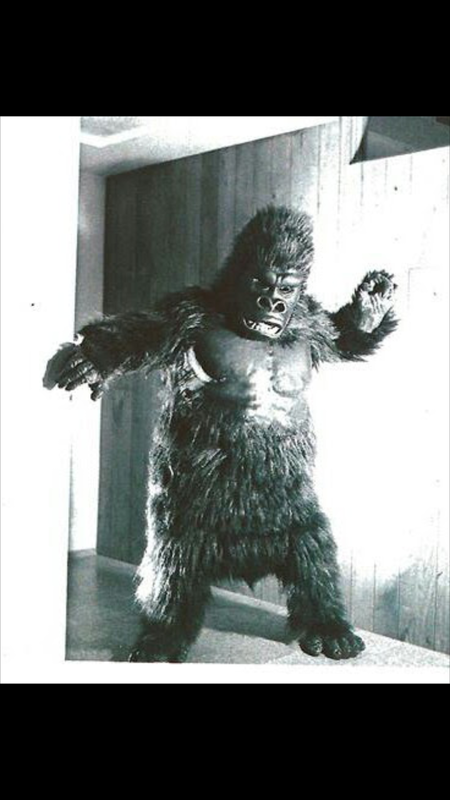 Wah Ming Chang was one of the premier monster makers of the 50s and 60s. Wah was responsible for most of the terrifying monsters from shows like the Outer Limits and Star Trek. 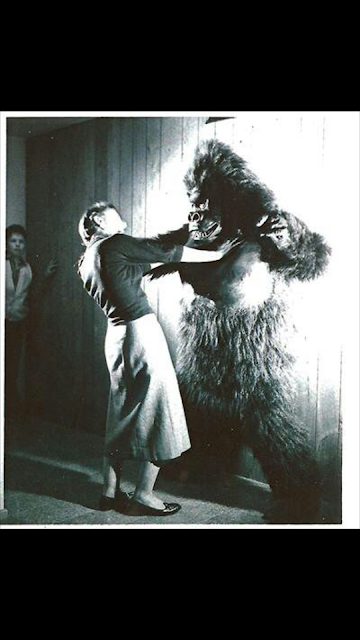 It seemed only natural for him to build s gorilla suit, and he did....and what a suit ! 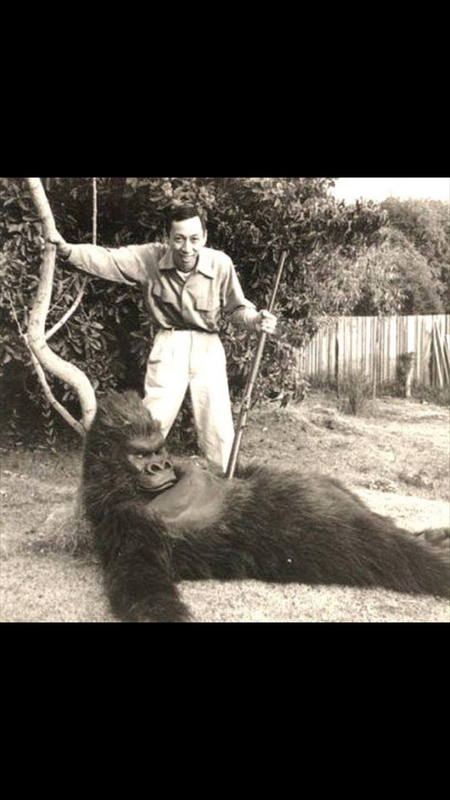 The funny thing is, that rather than look to real gorillas for inspiration, he looked no farther than the guy who was getting most of the good gorilla gigs at the time, the legendary George Barrows ! Wah's interpretation of Barrows suit is a sight to behold ! And now's you chance to do just that with these nifty pics of Wah's suit....2 with Wah in the suit, and one with Wah playing big game hunter and posing with his " trophy "! Enjoy gang !